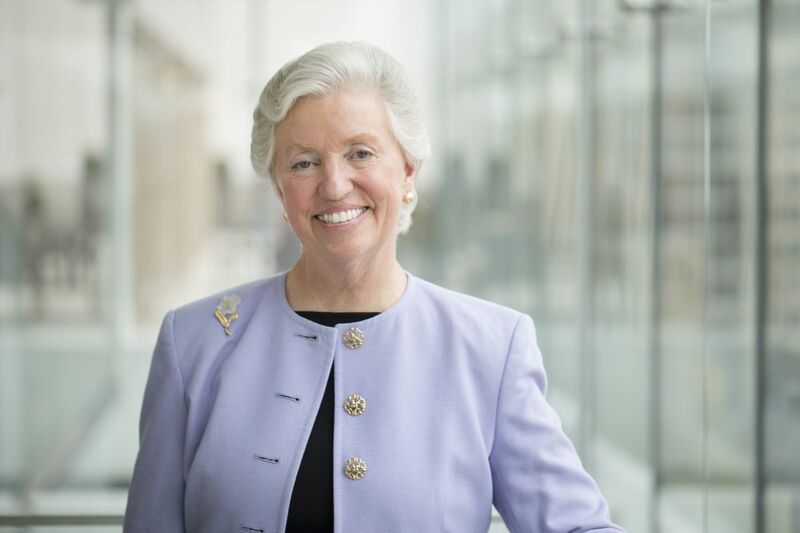 After 36 years of service to the Pew Charitable Trusts — including 30 years as executive director, president and CEO — Rebecca W. Rimel announced on April 2, 2019, that she will retire after a successor is in place. Rebecca W. Rimel on Tuesday announced her retirement after 25 years as president and chief executive of Pew Charitable Trusts. During her 36 years at Pew, the organization has evolved from a foundation focused on grant-making to a nonprofit with national scope and its own operations, including the oft-quoted public-opinion surveys from the Pew Research Center in Washington. “It has been a privilege and a source of great joy to serve with a talented, generous, and caring staff throughout my tenure,” said Rimel, 67, in a statement. “Any success we have enjoyed is due to their integrity, creativity, and unflinching commitment to building a world-class institution and advancing an ambitious programmatic agenda." As Pew’s leader, Rimel has been deeply involved in major cultural and civic undertakings, such as the creation of the visitor center on Independence Mall and the move of the Barnes Foundation to the Benjamin Franklin Parkway from Lower Merion. Rimel, who started at Pew in 1983 as health program manager, became executive director five years later and was named president and chief executive in 1994. She will remain in those roles until her replacement is named. After that she will become a senior adviser. When Rimel joined Pew, the organization had fewer than 10 employees. It now employs more than 1,000, most of them in Washington. Pew’s remaining Philadelphia operations employ 64. While some in the nonprofit community attribute a shift in Pew’s tactics to Rimel, the move to a larger stage began before she became CEO. In 1980, Philadelphia-area organizations received 56 percent of the Pew Trusts’ grant budget. By 1990, it had dropped to 31 percent, according to a 1992 Inquirer analysis of Pew funding. The organization’s tax return for the year ended June 30, 2017, shows $21 million in grants to Philadelphia-area organizations, including $12 million to the University of the Arts. That’s 20 percent of the $104 million in total grants to U.S. organizations that year. Pew said it was unable to provide recent data. And Rimel was not available for an interview. Joseph Neubauer, a longtime philanthropic leader in Philadelphia, said that criticism of Pew for abandoning Philadelphia under Rimel was misplaced. “Rebecca was very demanding. She demanded facts, and she wanted people to show that they are doing something, that they are changing,” said Neubauer, who worked closely with Rimel on bringing the Barnes to Philadelphia, keeping Thomas Eakins’ painting The Gross Clinic in the city, and paying off the debt of the Kimmel Center for the Performing Arts. The Neubauer Family Foundation and Pew also funded a major survey of Jewish Americans that became a model, Neubauer said. “Pew Research really works on real data, which we like," he said. Pew’s areas of activity include modernization of the civil legal system, protecting life in the arctic, public sector retirement systems, broadband research, and biomedical research. Locally, Pew has the Pew Center for Arts and Heritage and the Philadelphia Research Initiative. Pew is the beneficiary of seven charitable trusts established between 1948 and 1979 by two sons and two daughters of Sun Oil Co. founder Joseph Newton Pew and his wife, Mary Anderson Pew. The seven trusts were worth $5.3 billion on June 30, 2017, the latest figure available. The organization’s total revenue in fiscal 2017 was $335.5 million, according to its tax return.